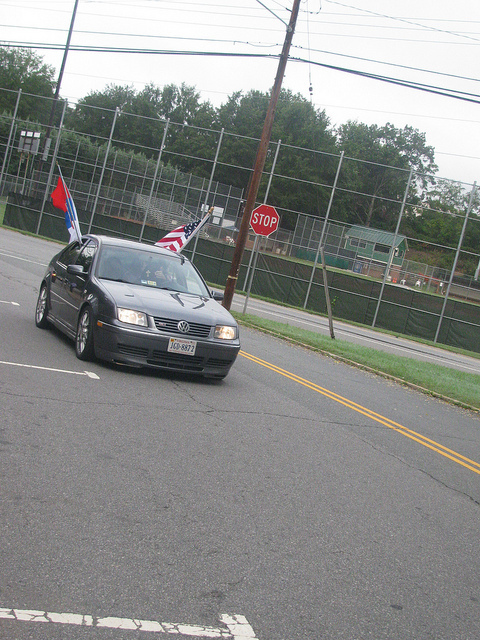 Charlottesville, VA - On Saturday September 24th on the holy day of the Venerable Theodora; Venerable Sergius and Germanus a great historic event happened for the Serbs of Charlottesville. His Grace Bishop Mitrophan with V. Rev. Dragan Zaric and Fr. 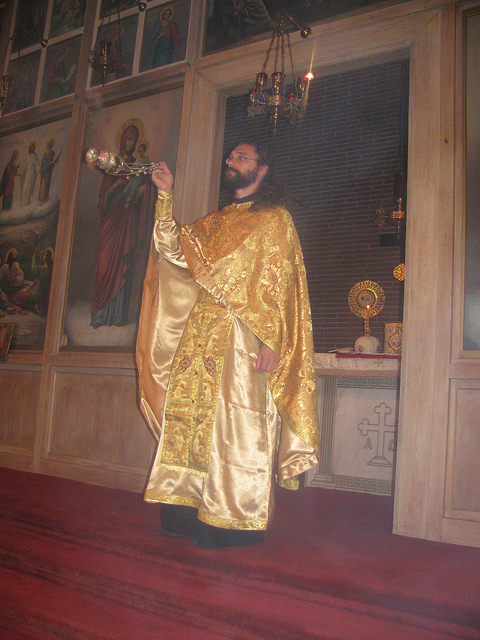 Ljubisa Brnjos, held the first Divine Liturgy. 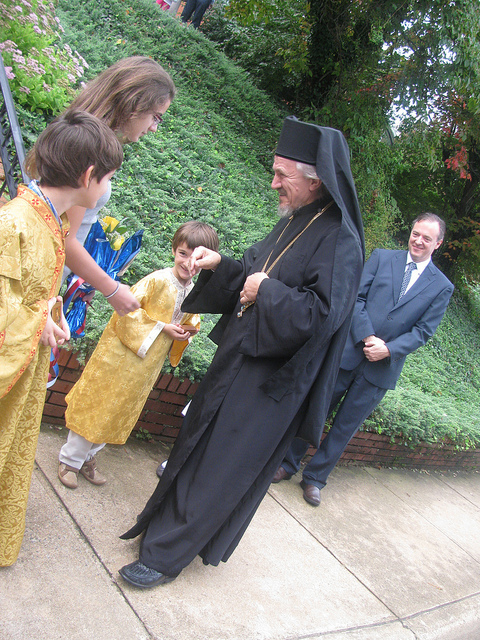 With a big outcome of Serbs from Charlottesville and a large number of guests from Richmond, the Holy Liturgy was held in the Greek Orthodox Church in Charlottesville. 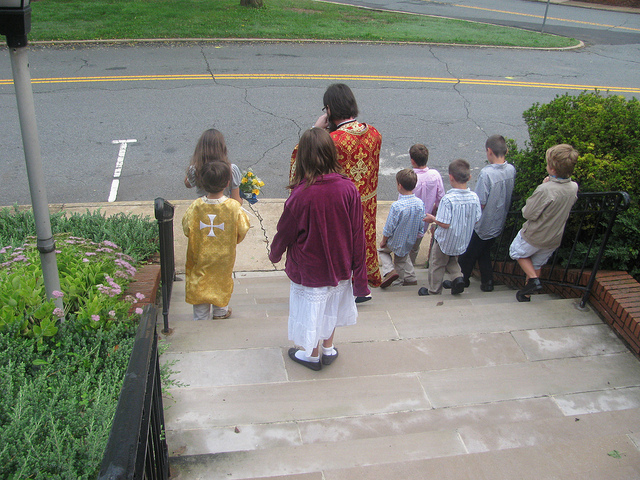 After Holy Communion and short homilies from V. Rev. 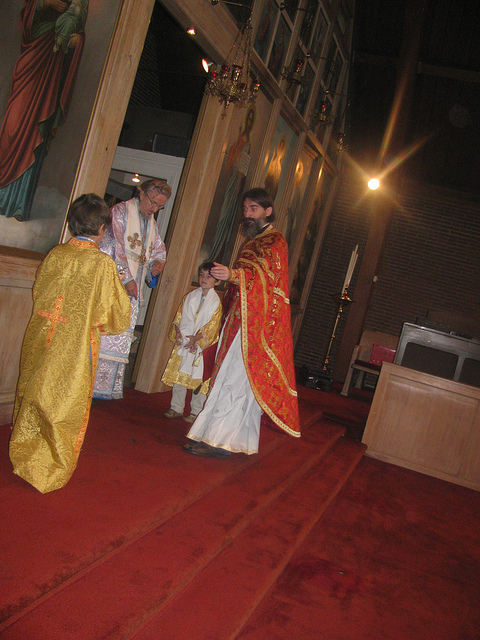 Dragan and Fr. 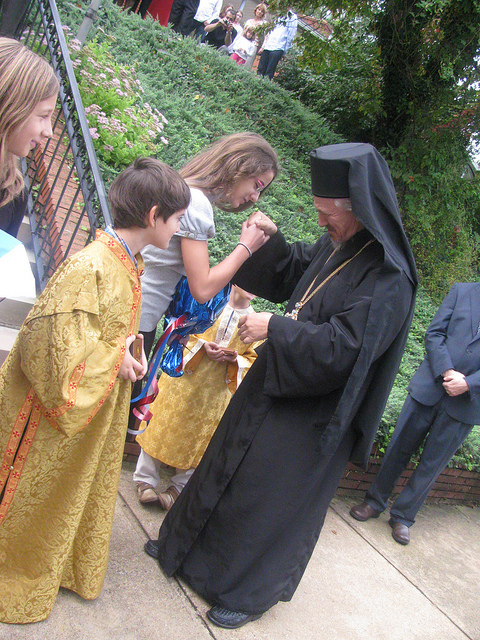 Ljubisa with the blessing of Bishop Mitrophan the mission was founded for a Serbian Orthodox Church in Charlottesville, Virginia. 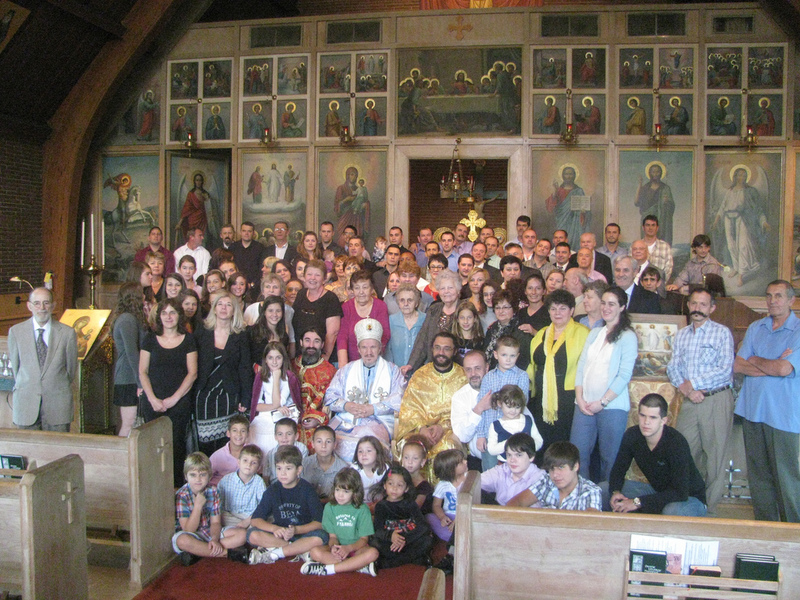 At the end of his address His Grace gave his blessings that our mission parish be dedicated to the Nativity of the Most Holy Theotokos and wished us success in this mission. 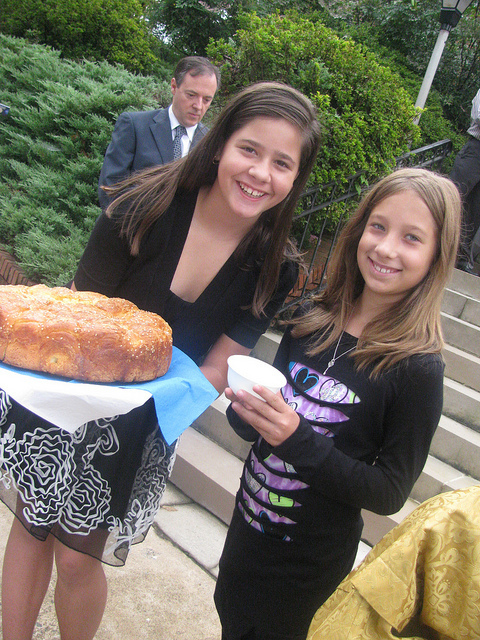 Shortly after the lunch prepared by the Charlottesville women and men a brief but very well done program was held. After the program a meeting was held with the bishop in which everyone including the guests from Richmond participated in, discussing the future actions of the mission. At the very end V. Rev. 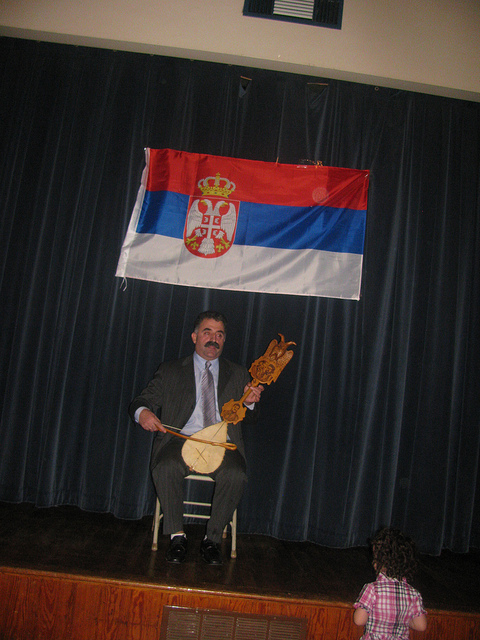 Dragan Zaric thanked the organization committee and all the faithful and all the others present for the truly majestic welcome of His Grace Bishop Mitrophan.